If you are looking to book a last-minute getaway with the family, but want to make sure your children will be entertained and stimulated for the duration, the almost endless list of activities aboard family cruises make them the perfect choice for your summer 2014 holiday. Whether you are taking your baby on their first trip or are trying to keep a sulky teenage satisfied; there are a huge range of cruise holidays available to please kids, both big and small. Here we look at the best cruise holidays for the different age groups. For those travelling with a baby, a short trip may be preferable due to the incredible array of baby products that need to accompany your party. This two night cruise to Paris is a calm and quiet trip that will not distress your baby and allow you and the rest of the family to enjoy the holiday. Royal Caribbean was named the Best Baby Getaway of 2012 by American Baby Magazine thanks to the comprehensive baby care programmes and facilities on board. The Adventure of the Seas plays host to the Royal Baby play sessions, a drop-off service for 6-36 month babies. However, the short nature of the trip means that you probably won’t have to utilise the service all that often before having a day’s break in Paris. The weather in Paris at the end of August is ideal for a day of strolling around and seeing the landmarks, just be sure to cover baby up against the sun. With toddlers of this age requiring almost constant attention and stimulation, a trip to the Fjords with their beautiful nature is ideal. The unique geography of this part of the world creates incredible, panoramic views that will mesmerise the young and the old alike. The pleasant climate and long day of the Fjords during August make it an ideal time to take this trip. The snow-capped mountains and glistening waters create a perfect backdrop between excursions. The Norwegian Fjords cruise takes in a number of land trips to Norwegian towns, giving the energetic kids a chance to stretch their legs. The Celebrity Eclipse plays host to a wide range of activities for children including the fun factory for 3-11 year olds. The Shipmates programme for children aged 3-5 offers dinosaur hunts, face painting, SpongeBob trivia. Kids are even invited to attend the supervised slumber parties in the evenings. A chance for kids to soak up a little excitement and culture in some of those most historic and beautiful cities in the Mediterranean; this cruise aboard the Queen Elizabeth is perfect for precocious children with an inquisitive nature. The picturesque cruise travels between Florence, Monte Carlo, Toulon and Barcelona, granting your children plenty of stimulation whilst throughout the holiday. The ship plays host to a wide range of children’s activities, split into age-specific groups. A special supper for children is served daily allowing the kids to socialise with their peers and give parents a chance for a romantic, formal meal by themselves. As we approach the age of teenage angst, it can be difficult to keep this demographic happy on holiday. The Eastern Caribbean cruise gives this age group enough freedom to keep them satisfied whilst granting peace of mind with constant supervision. The cruise is complete with 3 excursions throughout the week, keeping the teens and tweens stimulated for the duration. 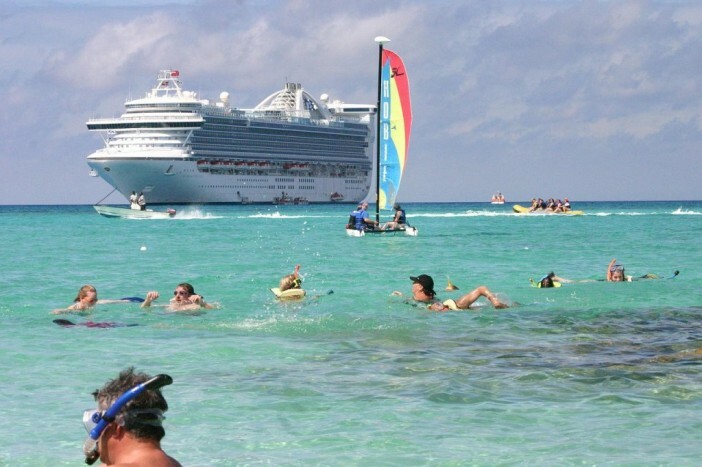 The excursions give the whole family a chance to enjoy the tropical paradises of the Bahamas and St Maarten. The Allure of the Seas is fantastically equipped for this age group, complete with rock climbing wall, surfing simulators, ice skating rink, zip line, basketball court and a mini golf course amongst other amenities. There are a number of activities available on board the ship including open mic nights and talent shows. Family holidays may start to become a slightly rare occurrence from now on with the older teens wanting to go away with their friends or stay at home by themselves. So it is imperative you make the most of these family holiday opportunities when they come along. This trip around the Caribbean in one that is not going to be forgotten soon – with an incredible itinerary taking in a number of beautiful excursions. Visiting beautiful coastal destinations on Jamaica, the Cayman Islands, the Bahamas, the US Virgin Islands and Florida, there are plenty of opportunities for teens to hit the beach. The Caribbean Princess hosts a wide range of activities for teenagers including a dedicated and popular teen centre. The up-to-date music and video game collection will keep even the pickiest of teens happy on the high seas. To tailor your perfect family cruise with the children, call our dedicated sales team on 0808 274 6777.